Biruwa Ventures provides an entrepreneurial atmosphere for sharp and driven individuals to interact, and the space to share and nurture their ideas into sustainable ventures. Nepal is one of the least developed countries in the world and relies extensively on foreign aid. The main sector of the economy is agriculture, which employs over 70 percent of the population and accounts for 33 percent of GDP. As Nepal is home to the highest mountains in the world, tourism has been steadily growing in importance and is an important source of revenue. Also, the country has been working on exploiting hydroelectric power. Although Nepalese economy has been steadily growing in recent years, lack of governmental institutions, growing population and remnants of social instability are sources of concern. Here is a list of 7 startups that especially caught our attention with their brilliant work. Founders - Amit Chaudhary, Subrat Basnet. Description - It is a Cloud based, managed data extraction and web crawling service to extract data from email, documents etc. It is an intuitive way for users to visually mark and tag the data extraction requirements on the screen or explain them clearly in text. Extracted data can be downloaded as CSV or XML. The data can also be uploaded automatically to FTP, DropBox, databases or sent via Email. Scheduling data extraction is also possible where the user can tell when and how often the data needs to be extracted and Grepsr’s automated system will take care of the rest. It has a flat pricing model and there are no limits on how much data is to be extracted. USD 99.00 flat to extract upto 50,000 records. There are no hidden fees, or limits on bandwidth usage etc. Payment can be made after viewing sample data. Founders - Amit Agrawal, Dhruba Adhikari, Manish Modi, Arvind Sah. Description - It is an online platform to create videos from photos, text and music. The company is automating video creation process, so that it can be created easily by general users and businesses, for various purpose like personal videos, marketing videos, video ads and social media content. Picovico is the brainchild of Nepalese programmers & entrepreneurs with offices in Nepal, USA & India. It is Available in different languages: English, Spanish, Japanese and soon in Dutch. Subscribe to Picovico on Youtube, it is also available for Android to download. Founders - Abhishek Pande, Ashish Shrestha . Description - Guidebooks are dead!! Millennial travelers have no patience with its format or content. They want the technology to bend around their needs. While they are trekking, they don’t want a guidebook, they want a trekking app. And they want the technology to make them instant experts. HoneyGuide’s Trekking in Nepal provides just that through its features like Mountain Finder, context sensitive Placecards, Deviation Alerts, complete lodge info in a small offline package. Description - Meroanswer is a web and mobile app that helps students crack university entrance exams. The product is based in Nepal where over 80K students prepare each year for medical and engineering entrance exams. Meroanswer enhances the way student prepare for tests by providing multiple choice questions with hints and solution. The database consists of over 10,000 questions from Physics, Chemistry, Mathematics, Biology, English and Aptitude tests. The product works on a freemium model where users can try out 30% of tests for free. Access to all questions and exams costs users $20 per year which is affordable for Nepali students. Meroanswer.com is funded at present . Founders - Manoj Ghimire, Tulashi Ram Gautam. 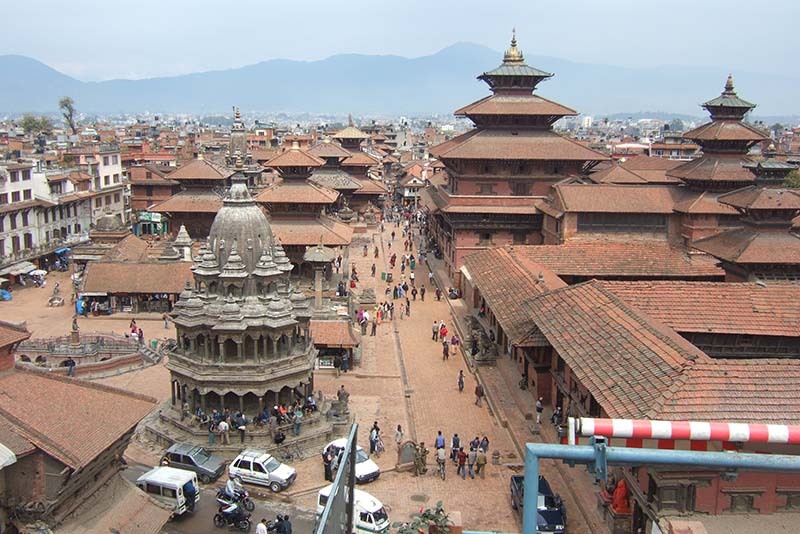 Description - nLocate is the most comprehensive local search engine for Nepal. nLocate has an android app, an iOS app and a web app which are all free for the users to use and free for business to list their presence. nLocate helps you locate businesses and activities around you, see their location in a map and contact information, discover their products and services. Besides businesses, nLocate also lets you search and locate useful information like location of ATMs, Banks, Hospitals, Doctors and Movie Showtimes. Description - GGN (Ghar Gaadi Nepal) is a concept evolved with multiple experiences & market scenario. Though market is competitive with local agents, brokers, developers, exchange houses & multiple vendors, GGN strategy is to mutually merge every of the possibles for outstanding deals in the market to any of those looking for one stop solution. Every single queried individual will get help from GGN portal by product details/deals, market reviews, news & support (financial institution solution). The funding not only helps rising the growth of company but surely makes the growth of investors as well in many ways. The business also have development module where great circle of investors can make brilliant sum by investing on multiple project plans coming throughout the market. None of the online/offline portal have currently made the strategy as of GGN. GGN offers free ad plans, paid ad plans, client support/business support module as well. GGN includes multiple source of income from multiple sources. GGN is specific on real estate & automobile market. It aims to be a one stop solution for every on these need. Description - Biruwa Ventures provides an entrepreneurial atmosphere for sharp and driven individuals to interact, and the space to share and nurture their ideas into sustainable ventures. The company aims to professionally and profitably assist startups and entrepreneurs in Nepal by creating a clean, welcoming, and functional office space with parking, 24 hour electricity, phone, and high speed internet connection. Additionally, Biruwa connects entrepreneurs with avenues for funding and provides other essential services required for their business to prosper and grow.